Customer is really hands on person with high DIY skills. BUT He refused to do his main floor bathroom. 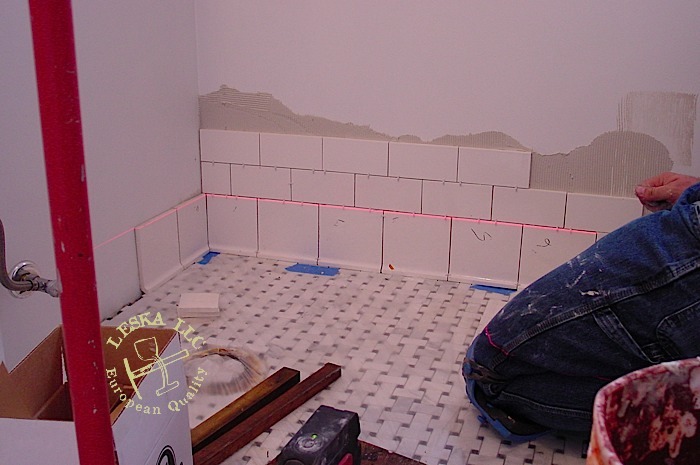 Real subway tiles installed on walls. 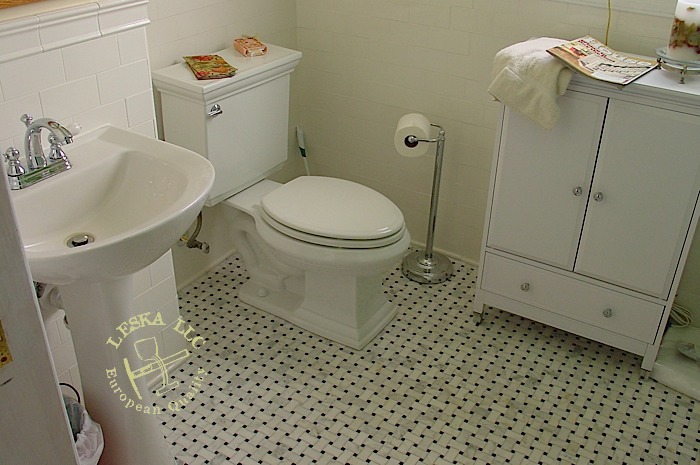 Carrara mosaic marble tiles were used on the floor. Cast Iron Tub with foot claw tub, vintage handles a accessories were used. We felt special to win this project and we did more than deliver.